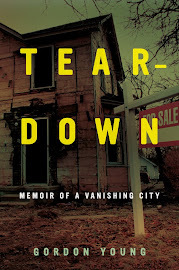 As I read your book I could understand how Traci felt -- but (even though readers of the blog already knew how it was all going to end) I was still rooting for you that you cound that piece of Flint that you loved and remembered and could replant it back in the city in this decade. That's a really haunting photograph above. 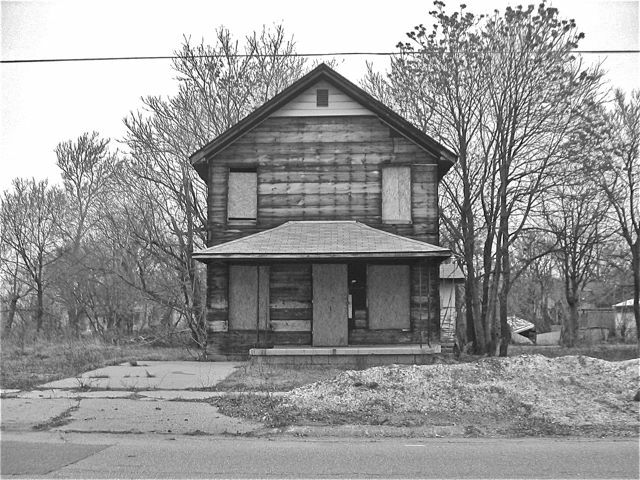 Feels like the ghost of Flint's despair, symbol maybe of the loss and longing your book expresses in so many ways. Calls for an anxious blues riff to go with it, and a half-smoked cigarette, and a stiff drink -- as Danny Rendleman said somewhere, they call it hard liquor for a reason. I know, that despair is here, it really is. But just to be contrary, I'm going to try to get you to post a photo of my new porch sometime, too. The Flint that isn't vanishing.